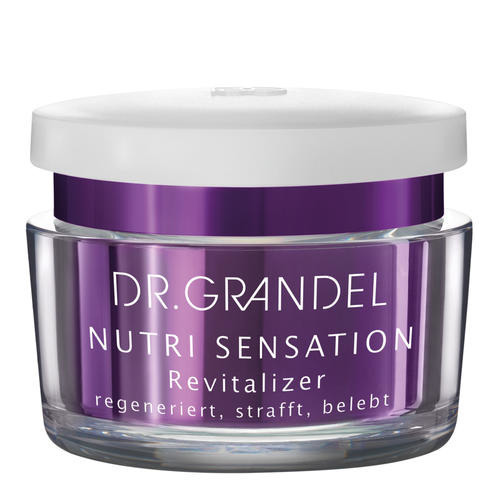 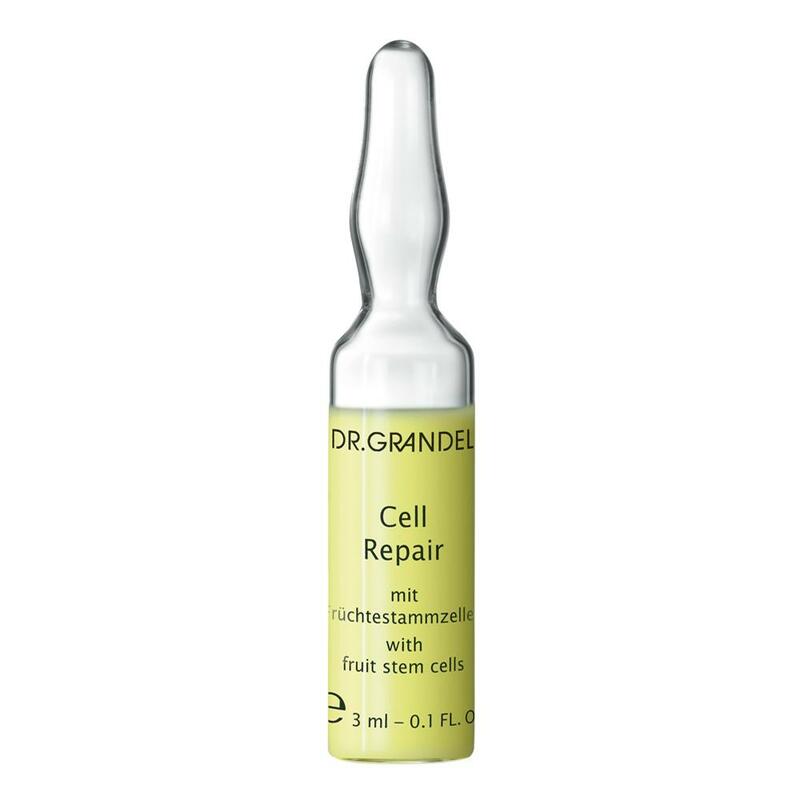 DR. GRANDEL Cell Repair Ampoule stimulates the regenerative powers of the skin and protects the skin from light-induced ageing. 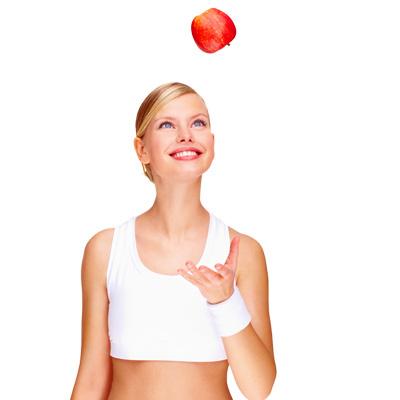 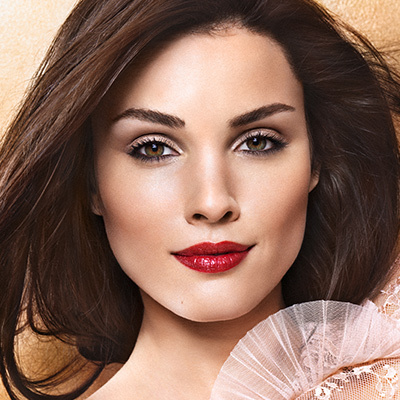 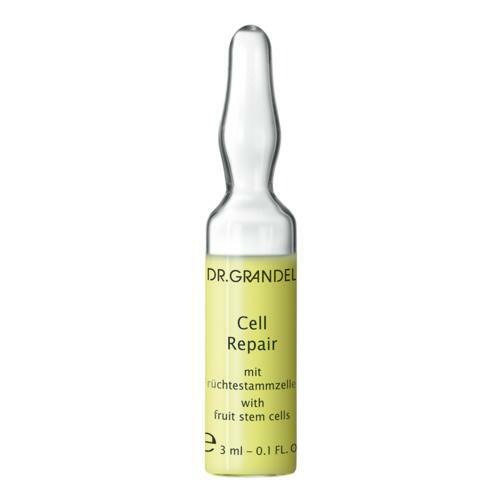 The skin-rejuvenating active ingredient concentrate with fruit stem cells makes the skin look smoother and more radiant. 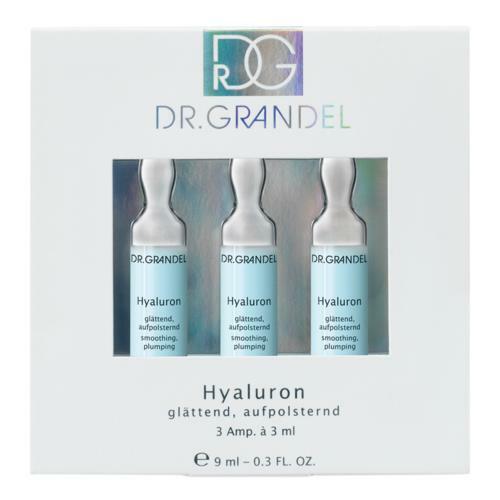 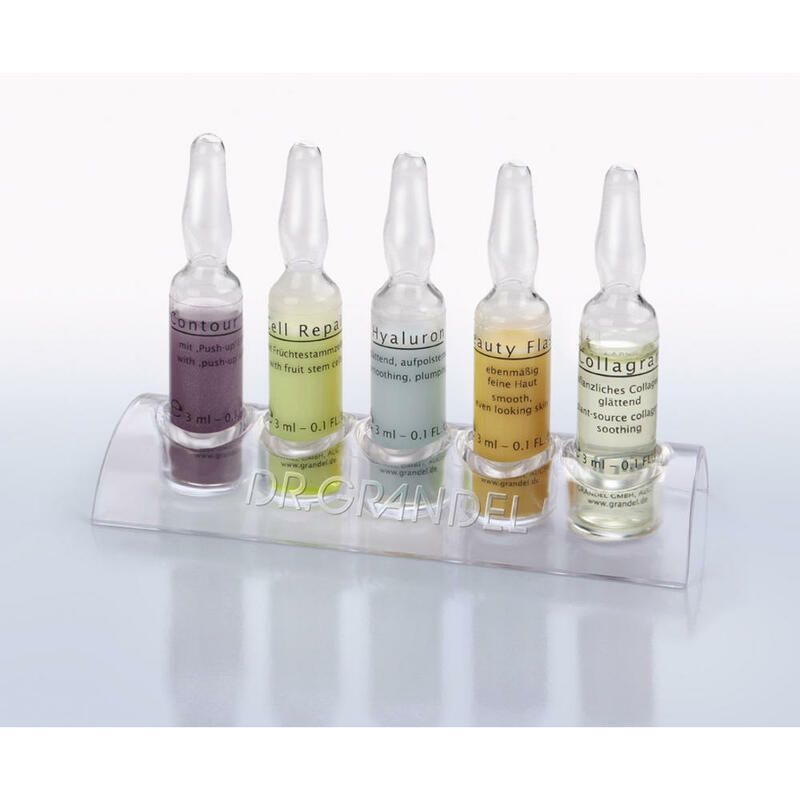 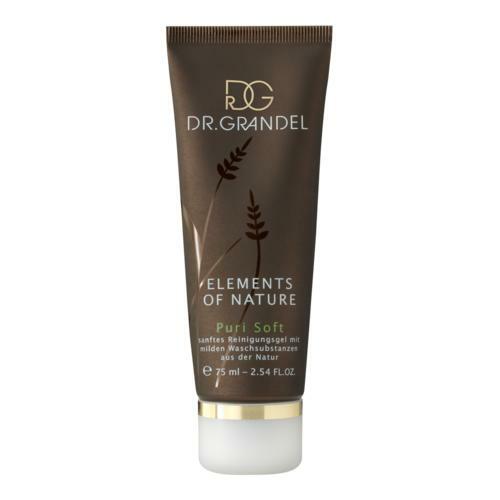 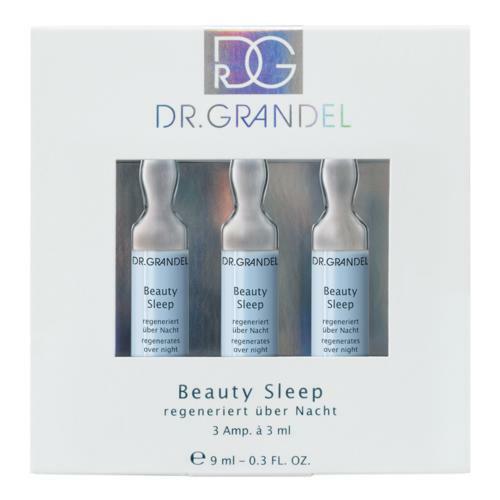 DR. GRANDEL Cell Repair Ampoule can either be used as special-effect ampoule (=effect for a day or for a particular occasion) or as a treatment program (=sustained improvement in the condition of the skin).